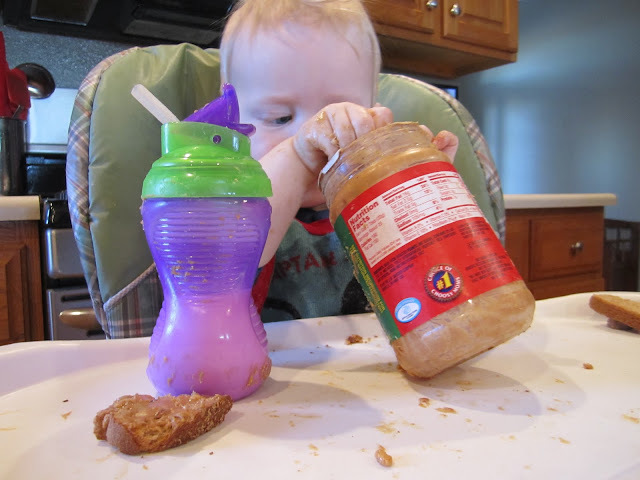 They say that choosy moms choose Jif, but here are a few other things that choosy moms choose. 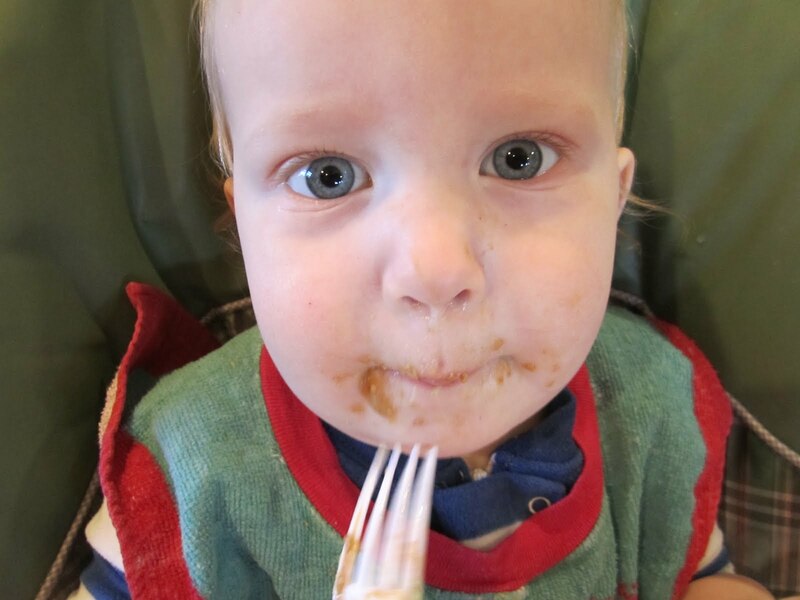 Choosy moms choose to park the highchair too close to the counter and utensil drawers so that their little ones can steal whatever they want while mom is feeding the dog, because motherhood is too easy when the baby is clean all of the time. Choosy moms don't freak when they see their kid up to their elbows in the peanut butter jar because they are so grateful for the peace and quiet. Choosy moms don't give in when older children want to eat peanut butter with a plastic fork for breakfast but make a PB&J instead, because moms have standards, you know. 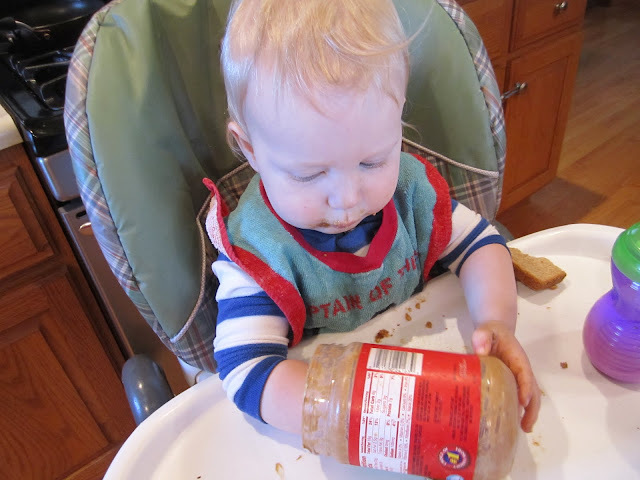 Choosy moms see a toddler eat without fussing for the first time in weeks and start meal planning entrees that could include peanut butter to ensure future success. Peanut butter piccata? BLT/PBJ? Spaghetti and meatballs with peanut butter bolognese? Choosy moms won't admit it, but they might just start questioning what other sauces and condiments would make semi-acceptable meals. Eventually, choosy moms will rule out a meal of straight ketchup (even though their toddler might like it) because it stains, and if this post has demonstrated anything, it is that choosy moms don't have time to cook, let alone focus on stain removal. Choosy moms won't get embarrassed when people notice a matted brown spot in their child's hair later in the day because even though the baby wasn't bathed, they know it's not poop. Choosy moms nuzzle soft baby skin after breakfast and consider the merit of a peanut butter mask to rejuvenate aging skin. 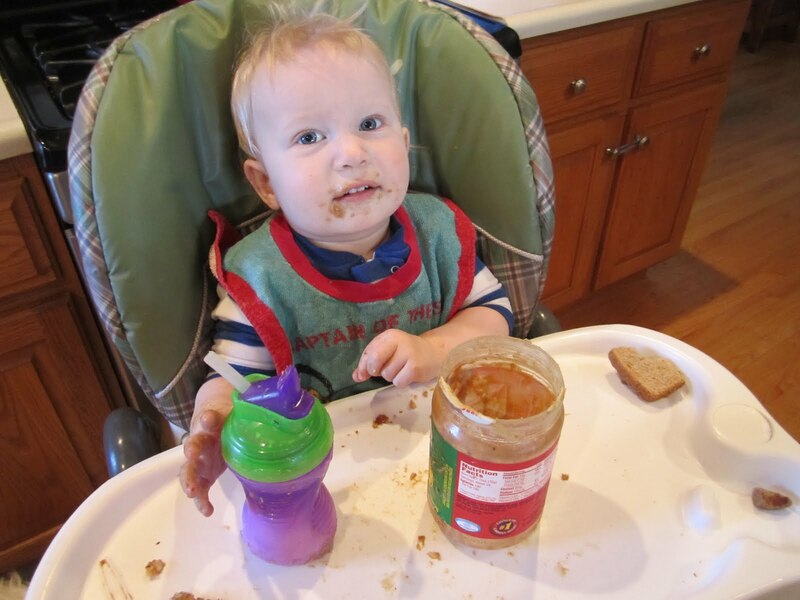 Choosy moms don't know what Jif stands for, but if forced to guess would say "JUST IMPROVES FUSSYKIDS". Choosy moms make up words all the time.